TimeZone : Breitling » Contentment. Though I haven't participated in the Breitling forum, nor any other forum for that matter over the past year, I still visit (lurk) regularly. This year I have been (you know what deep) in home renovations. With all funds and spare time redirected, I haven't had time to contribute. However, there is something about Breitling that has snared my loyalty. Is it it's divisive designs, that often draws criticism? Or is it Breitling's long distinguish history, and achievements? For me it is both of the above,and more importantly it is a brand I feel comfortable with. 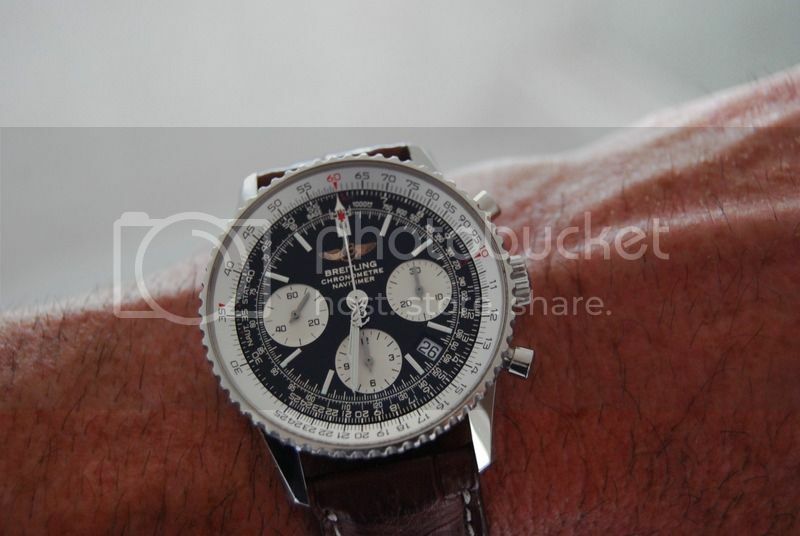 TIMEZONE Breitling forum. I thank you. Perhaps in the future I'll own another moonwatch, but for now it's all BREITLING. Here's my latest. A watch I've always admired, and desired. Along with my Chrono Avenger, I am content.